16 Handles, one of the downtown yogurt shops, received a waiver from the Zoning Board of Appeals that will allow it to add more tables. 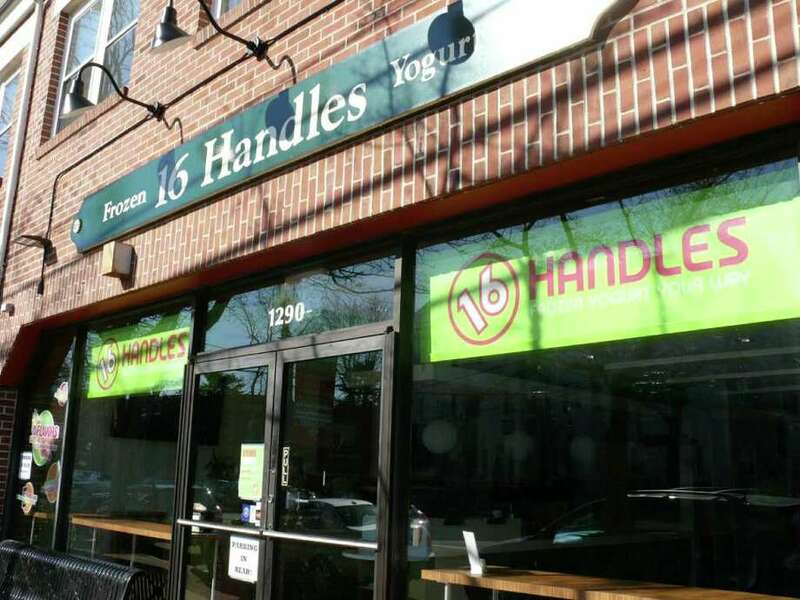 The Zoning Board of Appeals has approved a request for a variance at 16 Handles, a downtown frozen-yogurt shop, that will allow seating in the business. The variance, approved by a 5-0 vote last Thursday, reduces the number of off-street parking spaces usually required to permit table seating in the establishment. The ZBA endorsed the variance, which will allow four tables and eight ottomans while reducing the minimum required total number of off-street parking spaces by six spots, on condition there be signs directing visitors to a rear parking lot to minimize on-street parking for the take-out shop at 1280 Post Road. "There was an argument that persuaded me that there will be parking in the back ... and that these seats will be necessary," said board member Duncan Keith. Owners Lisa and Erik Mallon went before the ZBA with the same request for the take-out place six months ago, but were denied. Prior to the vote, John Fallon, the lawyer for the 16 Handles owners, said the last six months have shown the seating is needed so patrons can sit down while eating frozen yogurt. He also said the seating, designated for a 460-square-foot area, should reduce the number of people standing inside the shop. "Once you put those tables and ottomans there, you have a patron area," he said. Several people spoke in favor of granting the variance. "We always park in the back," said Tracey Taylor of Fairfield. "In terms of seating, it's hard when there's no place to put something down." Jim Walsh, a Fairfield lawyer representing Jamie Karson, owner of the nearby Pinkberry frozen-yogurt shop, opposed the variance. "My client is opposing this application because he feels everyone should play by the rules, and he expects everyone else to play by the same rules," he said. Contact Michael C. Juliano at mjuliano@bcnnew.com.